Artist's book on Blair Thomson. 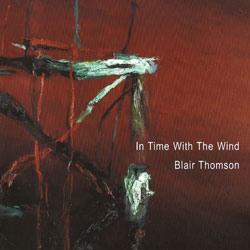 Skill, ability and knowledge are vital qualities embodied in the Art of Blair Thomson. He thinks with a subtle intelligence, feels deeply in his heart and makes skilfully with his hands. I use the word “intelligence” because it underscores the fact that Thomson is an artist who works keenly with his mind. I use the word “skill” because he has an innate talent which is evident in every mark he makes. And I use the word “knowledge” because he works with a learned understanding, aware of the alchemical properties of his materials. He is what I would call a “painter’s painter”, refusing to elevate the concept above the form and refusing to malign the aesthetic experience by separating it from the work of art or process of making it. You will not find the latest ideological messages in his art. Ever since art school (1998-02) he has avoided hyperbolic narratives with their accompanying post-aesthetic mindset because he has refused to compromise his artistic integrity specifically as a painter. The fact that he had to swim against the Duchampian tide as a student only demonstrates that from early on there was no failure of creative nerve or painterly intuition. From his successful degree show at the Glasgow School of Art onwards, it has been clear that any fashionable tendency to make subject- matter maximum and form minimum has never plagued his work. In-fact, since then he has continued to explore one of the most conventional subjects, The Sea, yet without sentimentalising it which can be so easily done or using it for some kind of socio-economical or mythical comment. What fascinates Thomson is its elemental space: a mental space of uncharted distances. Yi-Fu Tuan talked about, “the boundedness of place and the exposure of space”: this is Thomson’s territory. His regular walks up the “Atlantic edge” are concerned primarily with its naked, hyperborean space where points of interest become rarer. It’s therefore, a raw territory for the self to become “spaced out.” A blue grey silence. True silence. Such silence that is a rare commodity; better than speech, just as solitude can be better than society. For Thomson this silent space is the main creative source, a place of plenitude. Here he listens into nature, perhaps aware of what Virginia Wolfe called the “Zone of Silence”. This tangible other and inhuman context is what we encounter. Flatness and extension and huge blank expanses: emptiness with the sense of no past and no future .Vast. Remote. Unexplored. Open to imaginative freedom that goes beyond the positivistic: where the mind can interact with the concrete and where the subject can meet the object. This is what we see and feel especially in the bigger oil paintings- a meeting of the mind and the cosmos where the motif is transformed through artistic dialogue. Images becoming mindscapes! The seascape come mindscape is intensified because we rarely see a horizon or the rendering of atmospheric perspective. On the contrary, the flatness of the canvas is never denied (we know it is there); yet the nuance within the overall colouring of the ground creates a tense ambiguity between looking through and looking upon the surface. I actually experienced something akin to this when whale-watching off the Island of Skye: staring “into” the sea, then finding my eyes adjusting “onto” the surface, then back again! It is this experience of penetration and presentation which dominates Thomson’s aesthetic. Like many of the great artists he admires, Cezanne, Hokusai, Hitchens, he has learned to reconcile this duality through a dynamic tension which works in harmony. There is therefore, always this shift from surface to illusion with any pressure toward one of those aspects having the upper hand being resisted. He holds them together, incarnate yet without confusion! This incarnation and reconciliation is all the more incredible because he “writes” over his sensually rendered surfaces with calligraphic scrawls that punctuate the flatness of the picture plane. These scrawls paraphrase through memory, derelict boats and rotting piers. His favourite locations for such images are Bowling, Loch Long, Kilcreggan and Scapa Flow. But the particularity of each place is all but lost because in Proustian fashion it is “art” that recalls memory! Therefore, when he recalls the features of specific boats and specific piers it is in a simplified way not unlike Japanese Pictograms. The plasticity of the strongly applied textures with complementary colours and dynamic negative spaces takes over imposing a vivid picture upon our mind that is no longer specific but neither is it general like some platonic ideal. This approach and method takes a lot from his intimate knowledge of oriental painting, particularly Sesshu and Tohaku whose “splash landscapes” he has seen firsthand during his journeys in Japan. His studio is full of Japanese brushes and papers purchased during these visits with his Japanese partner Mikee: her grandfather skilfully versed in the art of Sho reinforced Thomson’s admiration of Eastern mark-making with brushes full of ink. This technique was summarised quite simply by Su Tung-Po as “an unmixed freshness and an effortless skill” and since student days this unpretentious directness in his vocabulary has increasingly developed into sparse, lean, economical gestures; his travels in Japan having intensified his virtuosity with a brush. At first glance however, Thomson’s motifs can baffle us, although we always sense a meaning in the forms .It is the sparseness in the style that keeps us guessing about their identity: but they retain nevertheless, a strange resonance like encountering fragments of some ancient script worn-away. And the more isolated Thomson makes them within the compositional space the more they appear as apparitions. Possibly this is the closest he comes to Bellany although the expression is rarely elegiac-rather, they mediate a wholeness. Any frozen “nature morte” evoked in these strange forms which punctuate the picture plane with their skeleton-like features is instantly transfigured from gravitas to visual delight. Decomposition and erosion hold little interest for him as a means of expressing mortality; instead, it is his sense of wonder at the nature of transfiguration that excites him. He feels the burden of projecting human emotion through some kind of self-conscious, Romantic melancholy which would only compromise his commitment to the irreducible reality of paint itself! 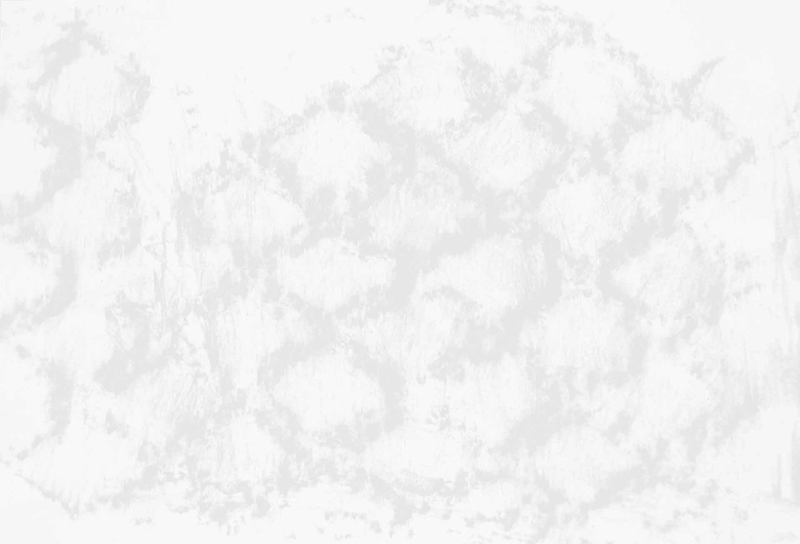 Here’s artistic focus embodying both concentration and emptiness. Of course, Thomson’s motif is not a duck but probably an old decaying pier: but it too is interesting beyond words. So he responds with a brush full of ink because drawing connects him in an immediate way and he’ll avoid too many marks so as not to lose that tingling sense of immediacy. He’ll always leave spaces, separating the strokes, one acting as a foil to visually intensify the other. I often think this is not so dissimilar to our experience of Haiku (poetry he loves): how do we hear the spaces between the words? Is seeing the space and hearing the space between the lines the same? There may even be a mysticism at work here, with the experience of “nothing” being a purgation of self, allowing for a chastened self and chastened imagination to re-enter nature with humility and awe! However, if there is a mysticism involved (or Zen) it is certainly not because he seeks the fantastic or eccentric, quite the opposite. The act of painting is for Thomson a way of reclaiming substance and sense. Although it has a transfiguring power, it is never his intent to replace reality but to bring us to a keener sense of it. This is what artistic “vision” actually means: like great music authentic painting can possess the very rhythm of life itself! As W.C. Williams wrote; “Art raises the thing observed into a rarer field”.